Hello everyone, Flor here. I wanted to share a layout with the beautiful Songs of Summer MiniKit. Love the yellow bright colors and the cluster of elements are just perfect for any summer page one of my favorite kits. 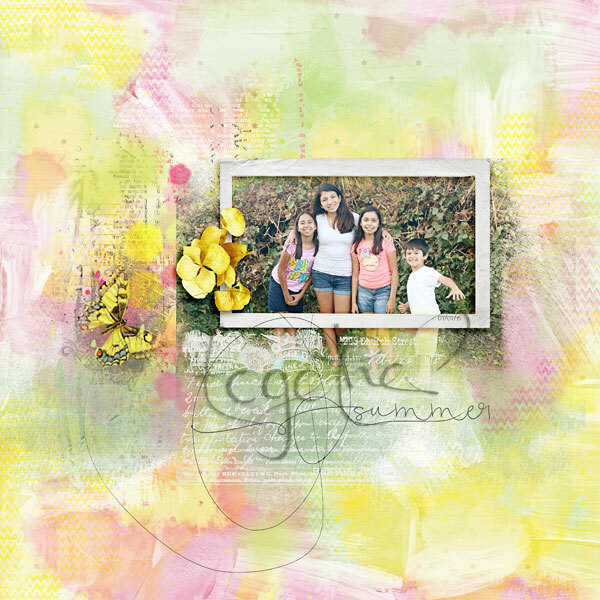 I have used Songs of Summer by NBK Designs.